The 2013 Alphonso Ford Top Scorer Trophy, the first Turkish Airlines Euroleague post-season award, given annually to the player with the most points averaged over a minimum number of games, has been won by Bobby Brown of Montepaschi Siena. Brown earned what is the Euroleague's only post-season award based solely on statistics thanks to his scoring average of 18.83 points over a total of 24 games this season. He scored in double figures in 22 of his team's 24 Euroleague games, reached the 20-point mark on 10 occasions and got to 30 points twice. As a crowning moment, Brown tied the Euroleague's single-game scoring mark for the century with 41 points in a come-from-behind 92-98 victory over Fenerbahce Ulker Istanbul early in the Top 16. Brown will be honored as Alphonso Ford Top Scorer Trophy recipient at the Efes Pilsener Euroleague Awards Ceremony in London during the 2013 Turkish Airlines Euroleague Final Four. Brown did not have a great start to the 2012-13 Turkish Airlines Euroleague season; he averaged only 10.5 points in his first two games, both of which Montepaschi lost. From that point forward, however, there was no stopping him. 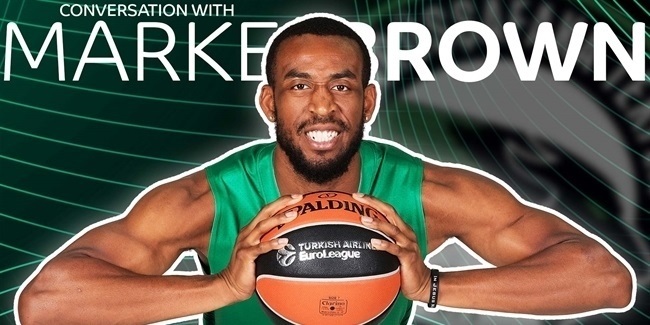 Brown scored 22 points in a road loss against Unicaja Malaga and led Montepaschi to its first Euroleague win of the season with a 34-point performance against Elan Chalon-sur-Saone, for which he claimed regular season Week 4 bwin MVP honors. Next Brown fired in 6-of-9 three-point shots on his way to 27 points and a second straight bwin MVP of the week performance against his former team, Asseco Prokom Gdynia. He went beyond the 20-point mark three more times – against Alba Berlin, Chalon and Prokom – before the regular season ended. Once in the new, expanded Top 16, Brown torched Fenerbahce Ulker for 41. He became the first player to reach 40 points in five years and tied the namesake of the top scorer award, the late Alphonso Ford, as well as Carlton Myers and Kaspars Kambala, for the single-game scoring record. Brown scored at least 15 points in nine other Top 16 games. He led the regular season in scoring (19.5 ppg.) and the Top 16 in total points scored (257). By the time he and Montepaschi were eliminated, Brown had made 83 of 176 two-point shots, 55 of 160 three-pointers and 121 of 136 free throws to total 452 points in 24 games. Bostjan Nachbar of Brose Baskets was second in the scoring race with 16.09 points per game, followed by Bojan Bogdanovic of Fenerbahce Ulker (15.9 ppg. ), Vassilis Spanoulis of Olympiacos Piraeus 14.72 ppg.) and Curtis Jerrells of Besiktas JK Istanbul (14.18 ppg.). Brown joins Bo McCalebb to give Montepaschi Siena back-to-back Ford Trophy winners from the same team for the first time in competition history. The list of previous top scorers also includes, Igor Rakocevic, the award's only three-time winner (2007, 2009, 2011), Linas Kleiza of Olympiacos (2010), Marc Salyers of Chorale Roanne (2008), Drew Nicholas of Benetton Treviso (2006) and Charles Smith of Scavolini Pesaro (2005). Alphonso Ford died of leukemia in September 2004 after a career in which he was the competition's leading scorer twice, in 2000-01 and 2001-02, both seasons with Olympiacos. He subsequently led Montepaschi Siena in scoring as it reached the 2003 Final Four in its debut Euroleague season. The Alphonso Ford Top Scorer Trophy is the first in a series of Euroleague end-of-season honors. 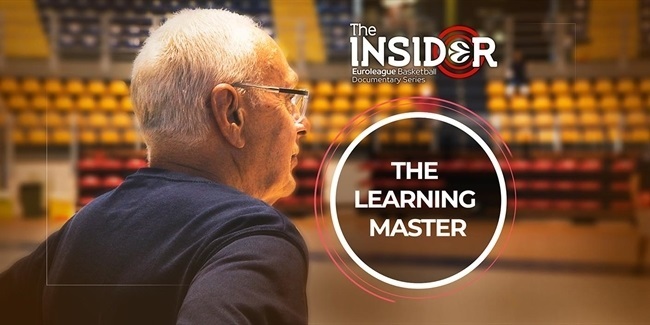 Other to be announced shortly include: the Euroleague Best Defender Trophy, the Euroleague Rising Star Trophy, and the All-Euroleague nominees and the first- and second-team honorees. The bwin MVP award will be revealed at the Efes Pilsener Euroleague Awards Ceremony on May 9. The Alexander Gomelskiy Coach of the Year Trophy and the Euroleague Club Executive of the Year are post-season awards.